OpenText™ "Lower the Drawbridge and let the Data Flow" - Open Text Web Solutions Usergroup e.V. 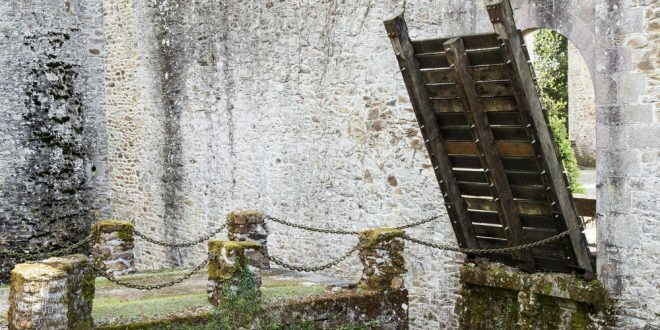 OpenText™ "Lower the Drawbridge and let the Data Flow"
It’s not often that Game of Thrones provides a moment of insight into data exchange, but that’s what happened this week. I am just catching up with season six of the top rated HBO series; and when the “Kingslayer” Jamie Lannister walked back across a drawbridge, having failed to persuade the leader of the forces under siege in the castle to surrender, it made me think about permeable data. In my last blog post I presented the idea that rather than trying to break down and remove the invisible walls that keep core customer data siloed and isolated in different parts and layers of the organization, we should let each group keep the keys to their (data) kingdoms, and benevolently grant access to the data to other groups and departments.